Sprouted. All Organic. USDA Organic. Non-GMO Project verified. nongmoproject.org. Non-GMO verified. Vegan. Nut-free. Gluten-free. Certified Vegan. Certified Organic By: Organic Certifiers. 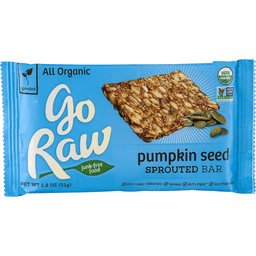 Sprouted pumpkin seeds are very high in protein, low in carbohydrates and are loaded with minerals including iron, potassium, magnesium and zinc, as well as heart-healthy niacin and vitamin B3. 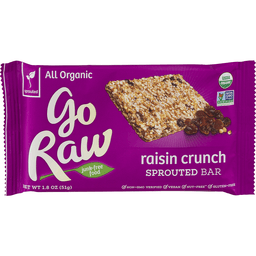 So when you roll them up with rich dates, agave nectar and a sprinkling of heart healthy sprouted flaxseed and Celtic sea salt, you get a bar that helps keep you going. Get healthy and Go Raw! Satisfaction Guarantee: if you are not fully satisfied with any Go Raw products we'll replace 'em, no questions asked. 1-800-I Lov Raw. Proudly made in the USA. USDA Organic. In 1954, beekeeper Ralph Gamber and his wife Luella created the En-R-G bar has a healthy snack. They also introduced quick energy packets of honey. Fifty years later, Honey Stinger was founded by a group including their son and grandson. Our goal is simple; provide great tasting, honey-based energy foods made with the finest ingredients. We think Ralph and Luella would be proud of our products and we know you'll like them too. - The Crew at Honey Stinger. 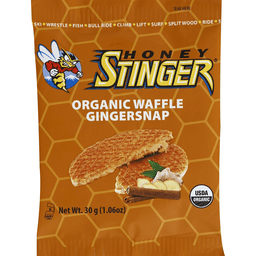 honeystinger.com. Certified organic by Ecocert Canada 91305. Product of Canada. 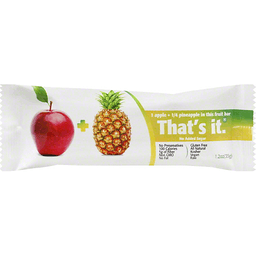 1 apple + 1/4 pineapple in this fruit bar. No added sugar. No preservatives. 100 calories. 5 g of fiber. Non GMO. No fat. Gluten free. All natural. Kosher. Vegan. Raw. USDA recommends 2-4 fruit servings/day. Satisfy hunger and energize with That's it. All we use is fruit, no preservatives, no nuts. 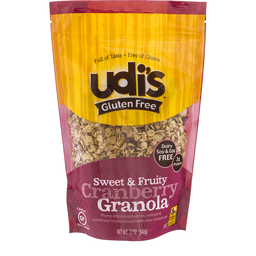 There may be rare occurrences of fruit pits, stems, or seed fragments in this product. Non GMO Project verified. nongmoproject.org. www.thatsitfruit.com. Natural Food Certifiers. Certified gluten-free. Produced with solar energy. Made in the USA. With other natural flavor. 11 g protein. 4 g fiber (contains 6 g of total fat per bar). 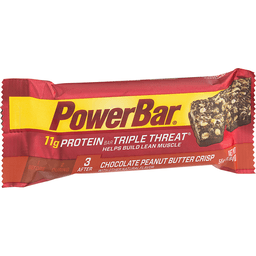 www.PowerBar.com. You're stronger than you think. For more information call www.PowerBar.com.